Test bench for burst tests up to 4000 bar. 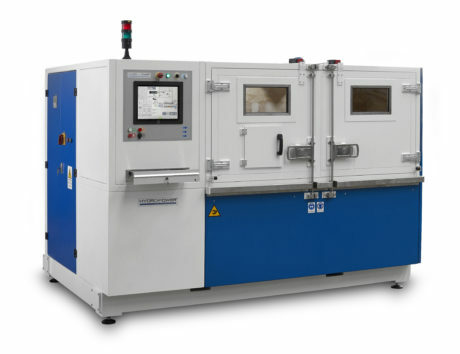 Intended for an outstanding producer of fittings for the automotive industry, the new test bench by Hydro+Power carries out burst tests up to 4000 bars and it is compliant with the Industry 4.0 philosophy. The experience of Hydro+Power, the brand stemmed from the synergy between Brescia Hydropower and O+P, has led to the implementation of a new test bench for jointed pipes able to perform burst tests up to 4000 bars. The equipment, intended for a manufacturer of unions, valves and jointed pipes for the automotive industry, represents also a concrete application of Industry 4.0 thanks to the on-board sensors that monitor the entire testing process, from both the touch panel and in remote. 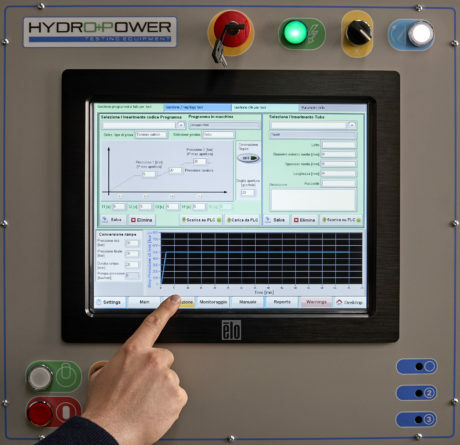 With the target of meeting the heightening of test levels and the growth of production volumes of the customer company, Brescia Hydropower has tailor-made the new test bench, able to face and to overcome any criticality and to comply with the severe regulations in force in the automotive field. The developed solution can carry out the three main tests: the fitting burst up to a maximum pressure of 4000 bars; the testing of the finished product up to a determinate maximum value established by the manufacturer and finally the valve calibration up to 1000 bars. Inside the testing chamber, fully coated by marine wood to deaden eventual bursts, there are two manifolds, one fixed and the other mobile, in order to suit the variable length of the components subjected to the test. Equipped with sensors on machine board and with PLC, the system fully conforms to the canons of Industry 4.0, as the entire testing process is monitored in real time directly from the control touch panel and, once input in net, remotely, too. It is so possible to follow the pressure trend by means of a reference graph and to execute the diagnostics of all testing parameters, making the intervention faster, if necessary. Interior of the testing chamber, fully coated by marine wood. Exclusive and customized solutions today enabled only by the efficacious collaboration and by the synergy established by the two companies, O+P and Brescia Hydropower, which have given birth to the Hydro+Power brand, symbolically merging the two corporate names into a single brand. Tasks and roles are well differentiated and defined, with Brescia Hydropower entrusted with the design and implementation of the test bench and O+P with its marketing. The winning union of two strong and consolidated realities inside the It’s Fluidmec World network to offer an efficient and full service. Brescia Hydropower, born from the happy intuition and entrepreneurial initiative of a team of technicians relying on thirty-year experience in the world of hydraulic plants, has soon become the ideal partner for companies on national and international scale to which it provides consulting, after sales service and spare parts. A highly professional team able to propose “tailored” solutions, implemented through a strict collaboration with customers and using materials with high technological content. 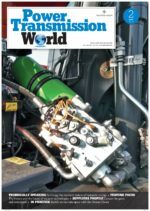 Brescia Hydropower is also member of It’s Fluidmec World, a net of multi-professional enterprises that operate in perfect synergy and collaboration, with the target of satisfying whatever need connected with the world of hydraulics, pneumatics and industrial automation, availing itself of a broad territorial network and operational branches in Italy and abroad. People, Passion and Solutions represent the highlights of O+P. For over thirty years specialized in the production of equipment for hydraulic piping, today it stands out for the offer of customized solutions, more and more evolved and diversified according to the typology and the application field. Broad range, research and innovation characterize the style and the work philosophy of O+P, deemed by full title one of the leader enterprises in the international sector programme. The constant expansion and growth are the result of a development policy mainly based on the centrality, the commitment and the thinking innovation of all those who work inside the company, letting it compete successfully on the domestic territory and beyond the borders. O+P is also part of It’s Fluidmec World, a net of eight multi-professional enterprises that operate in perfect synergy and collaboration, with the target of satisfying whatever need connected with the world of hydraulics, pneumatics and industrial automation, availing itself of a broad territorial net and operational branches in Italy and abroad.